Buying Silver Bars, which should you buy? If you are thinking about buying silver bars look below. 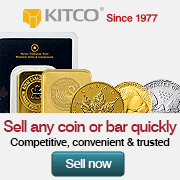 Confidently buy silver bars for sale here at Kitco Metals as they are guaranteed genuine, highly recognized around the world, and easy to sell. Modern investment grade silver bars are typically made of .999 silver bullion (fine silver). Silver bullion bars are struck and guaranteed by either sovereign government silver mints or by private silver mints. Made of .999 silver bullion also known as ‘fine silver’. Offer a lower price per ounce than government minted silver coins. Available for fully insured delivery to door or for a non-bank Silver Storage Account. Typically devoid of government legal tender face values. Efficient for stacking and private silver bullion storage. A tangible and convenient form of privately hidden silver wealth. A safe haven asset you can fully own, unencumbered, outside of the financial system. Non-digital, private, hack-proof, tough to track, proven store of wealth. Many silver bar hallmarks are also eligible as either Silver IRA or Silver RSP investments. Often buying silver bars at the lowest price per ounce possible is a goal of silver bullion bar buyers. Another important factor to buy silver bars is to find silver bars with highly respected hallmarks or brand names. If when buying silver bars, the most ounces of silver bullion bars for your capital is your main goal, consider perhaps buying silver bars that are large made by respected private silver mints. As well and in general, the larger a silver bar’s fabrication is, the lower the premium or price per ounce over the silver spot price an investor or silver dealer will have to pay for it. If you budget is limited, buy silver bars that are small ( 10 oz silver bars, 5 oz silver bars, 1 oz silver bars ) as they are perhaps some of the least expensive precious monetary metals an investor can buy and own physically. If you believe the best silver bar to own is perhaps the most highly recognizable silver bar in terms of general brand recognition, than perhaps buying Royal Canadian Mint silver bars is your best option. The Royal Canadian Mint strikes all silver bar sizes ranging from small RCM 10 oz Silver Bars to large low premium silver products like the RCM 100 oz Silver Bars. Since the beginning of the 21st Century, there has been a general increase in silver prices in virtually all currencies as well as record amounts of individuals buying silver bars. The onset of 2008 Financial Crisis helped further spur the trend of online silver dealers selling silver coins and silver bullion bars to the investing public. It has indeed become quite common for investors to buy silver bars in order to better diversify risks to their wealth and investment portfolios. Silver Bar delivery to door? Safe shipment in the mail of silver bars and other silver bullion items is more common than you might think. 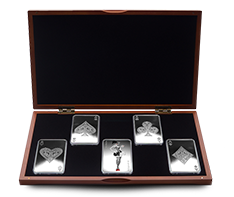 The majority of our customers who buy silver bars take fully insured, physical silver delivery to their door or preferred mailing addresses. Upon fully cleared payment of your order with Kitco Metals, your silver bars and other bullion items are secured tightly in nondescript packaging. All parcels are shipped with full insurance, postal tracking, and adult signature requirements. Silver Bar Storage with a 3rd party non-bank Silver Vault? You can elect to buy silver bars and take delivery at a professional third party silver bar storage safely and securely with Kitco’s Allocated Storage Program. Kitco offers multiple non-bank silver vault options all of which are fully insured, segregated, and would have your allocated silver bars recorded as your direct property at all times. Our top-tier silver vault network includes some of the most secure silver storage facilities located in Canada, Hong Kong, the United States (approved COMEX Silver vault), and the Cayman Islands (certain conditions apply). Keep your physical silver bullion bar purchases safe outside of the banking and financial systems with our Silver Storage Solutions. Virtually all .999 silver bar prices are dictated by the world’s fluctuating spot silver price. Silver bar premiums have and can escalate well above the silver spot price in times of financial market turmoil (e.g. 2008 Financial Crisis silver bullion shortages). Typically the selling price of silver bars (often referred to as the ask price of a silver bar or what a silver dealer is selling the silver bar at) hovers a few percentage points above the live spot price of silver. Generally the silver buying price or bid price of a silver bar (what silver dealers are buying silver bars at) hovers at or just below the fluctuating silver spot price. Finding trusted local or online silver bar dealers who promptly deliver quality silver bars and silver bullion at fair and reasonable prices can be difficult. We have been working in the silver bullion industry for over 40 years and seen many local and online silver bar dealers come and go. 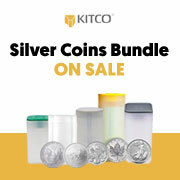 Since 1977, Kitco has been buying and selling silver and other precious metal bullion. 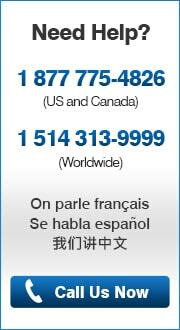 We are the world’s #1 silver news website and a trusted online bullion and silver bar dealer. Want more information on how to sell or buy gold? How to sell or buy silver?